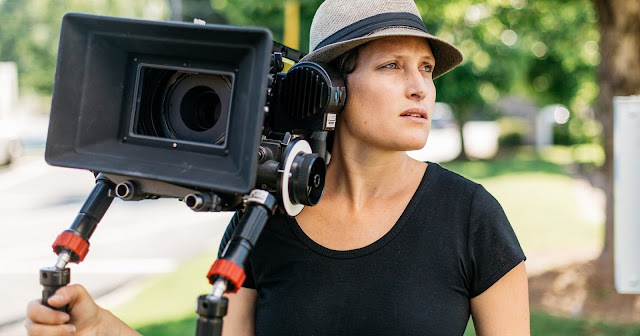 On the morning of Tuesday January 23, 2018, cinematographer Rachel Morrison made Oscar history by becoming the first female director of photography to be nominated for the Best Cinematography Academy Award. Morrison's exceptional photography work in Mudbound (read my review) was rightfully acknowledged but it's crazy to think that in nearly a century's time, a woman has not been honored in the cinematography category. Now that Morrison has made history, we can hope that going forward having a female nominee won't be such a rarity. To help commemorate such a watershed moment, I went back through Morrison's filmography to showcase her beautiful and sharply unique cinematography over the years. Her body of work boasts television and documentary credits but for the purposes of my video essay, I focused on her feature film work starting with 2007's indie comedy Palo Alto, CA. The canvas of her resume ranges from small independent films to singular works like Tim and Eric's Billion Dollar Movie and specialty films like Cake starring Jennifer Aniston. Next up for Rachel Morrison: the sure-to-blockbuster Marvel superhero film Black Panther, which reunites Morrison with her Fruitvale Station director Ryan Coogler. Please watch and enjoy Morrison's cinematic visuals for yourself.